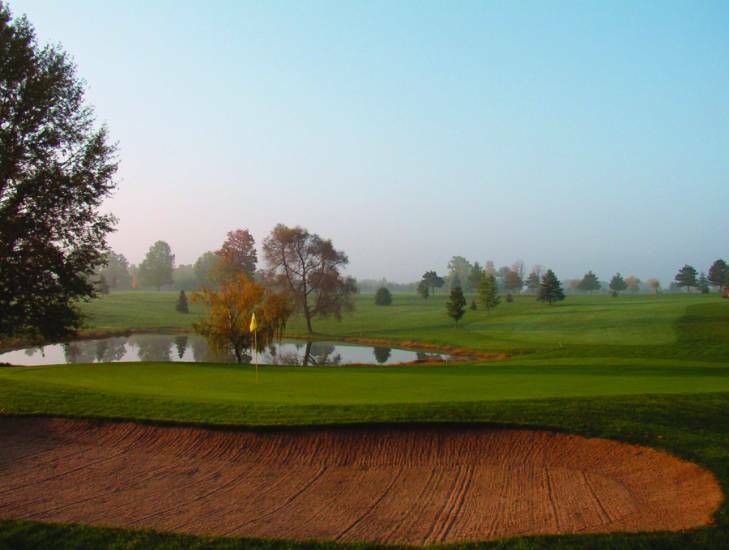 Missaukee Golf Club is an 18-hole facility that is open to the public. Located at the South corner of M-55 and M-66, we are centrally located between Lake City and McBain, and just 10 short minutes from the beautiful downtown district of Cadillac. JUNIORS 16 AND UNDER PLAY FREE EVERYDAY. Missaukee Golf Club was established in 1970, and over the years has continually updated the facility to meet the needs of all golfers. Just 6,045 yards from our back tees and a mere 4,905 yards from our forward tees, our course can be considered “user friendly.” Golfers of all skill levels will find us challenging, yet very enjoyable. Gently rolling terrain, a mix of hardwoods, 5 ponds, and a small creek will leave you with a strong sense of Northern Michigan golf, without all those “too tough of a course for me” bruises. A friendly professional staff, a well-stocked pro shop, and a new sandwich and appetizer menu from our snack bar await your visit. Visit the links at the top to find more information.